Traditional strategic management focuses on securing organizational assets and maximizing resources through top-down leadership and the formation of competitive strategies to advance market position, meet performance objectives, and gain competitive advantage. Top-down bureaucratic paradigms are not well suited for gaining an edge in the knowledge economy, and in many cases, these strategic behaviors are counterproductive. There is a growing need for alternative ways of thinking about strategic management and human resource development. 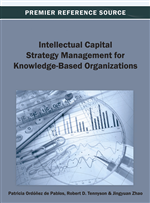 Complexity science provides a new framework for 21st century strategic management. The complex responsive processes approach to strategic management strengthens employee engagement, knowledge creation, and organizational learning, and it improves performance, achievement of long-term competitive advantage, and strengthens intellectual capital. Strategic behavior has been discussed for centuries and can be traced back to stories conveyed by ancient writers of the Old Testament, Homer in Euripides, and Socrates consoling Nichomacides, the Greek militarist (Bracker, 1980; Orcullo, 2007). “The Greek verb stratego means to “plan the destruction of one’s enemies through the effective use of resources” (Bracker, 1980, p. 219). Throughout the ages, military generals, economists, and politicians have formulated plans and marshaled resources to meet objectives (Orcullo, 2007).